Whether you are a wine aficionado or prefer a glass of port every now and then, this is a craft for you. 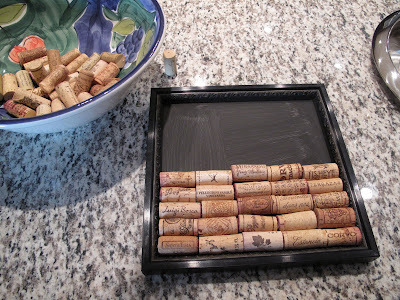 You now have an excuse to buy that extra bottle and can reuse/recycle the best part…the cork! 1.) Find an old picture frame worthy of reuse or pick one up at your local Good Will. 2.) If the frame needs some work, don’t worry. 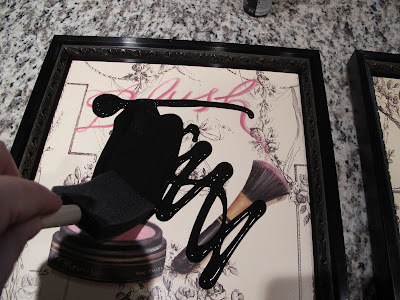 You can always use some acrylic paint to change the color or cover up slight imperfections. 3.) 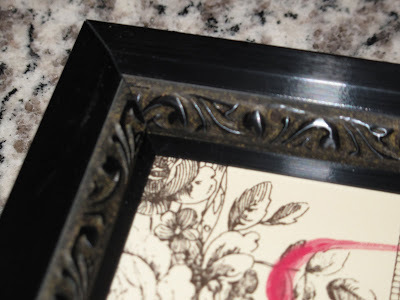 If you decide to to paint the frames, wait until dry. 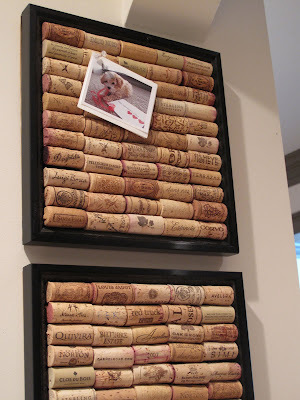 Then, start arranging the corks within the frame. This may take some time as all corks are not the same size. 4.) 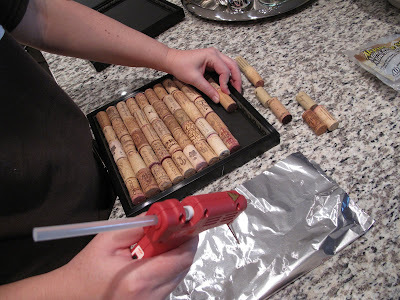 Once you are satisfied with the layout of the corks, use a glue gun to secure them. 5.) 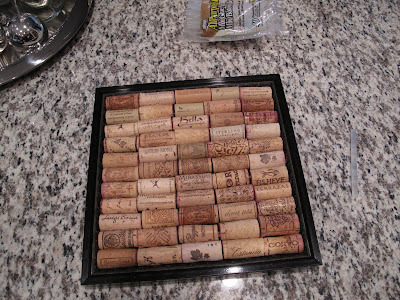 If necessary, take a few corks out at a time while gluing to not lose the arrangement. The completed project! 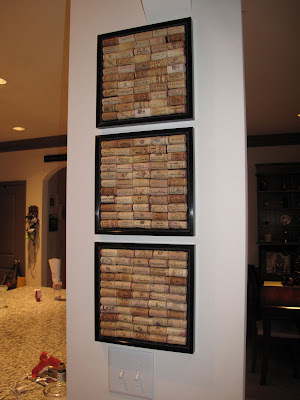 Last step, hang them on a wall and use as a true cork board or for decoration.